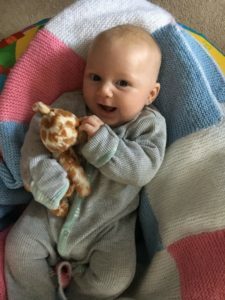 So my little squidge has reached 12 weeks old and I may be biased but he is pretty gorgeous! The last 3 months have been a rollercoaster of emotions and a very steep learning curve. Who knew feeding, nappy changing, sleeping and playing would take up sooooooo much time. My assumption that by now I’d be back into a routine of work and exercise was wayyyyy off! 🇳🇿Of course it doesn’t help that we’ve also been preparing for a big move…we’re off to Australia on the 18th February 🙀🙀🙀 Not going to lie, I’m feeling a bit anxious about it all, especially leaving family and friends. Still, in all this I know I feel better when I exercise and eat well so I have been trying to get things back on track. 1. I can’t fit in ‘normal’ exercise sessions. I have occasionally managed to follow one of my quick online bootcamps (bit weird watching myself) but I am very easily distracted by a certain someone. 2. I am hungry ALL the time! I blame breastfeeding 🙂 If I don’t have healthy snacks to hand, I will end up reaching for an instant (unhealthy) fix. 3. I have only been able to give my time to my existing clients…posting online, writing blog posts, or doing any kind of marketing or promotion has fallen by the wayside. Slowly I’m working on solutions to these so I get a bit more routine back. I love looking after my gorgeous boy but I do need to look after myself too! For me, fitting in exercise is a priority. Not because of what I look like (I’ve accepted I’m not fitting back in my jeans anytime soon) but because of the way it makes me feel. I’m going to do it and if you want to join me, that would be great! I’ve set little challenges for each day of the month. You can do one set of the exercises if that’s all you’ve got time for or you can do several sets (all at once or across the day). I’m currently going for the mindset that ‘anything is better than nothing’!! ✅I love ticking things off because it makes me feel like I’ve achieved something, however small. Plus it then inspires me to want to do more. If you’re the same then download the pic of the challenge, print it out and see if you can tick them all off. I will try and post each days with little videos of me doing the challenges…but if don’t manage it every day hey ho! February is all about realistic expectations! Ok, I think I’ve said enough (sorry for the super long post). Is anyone actually still reading?! 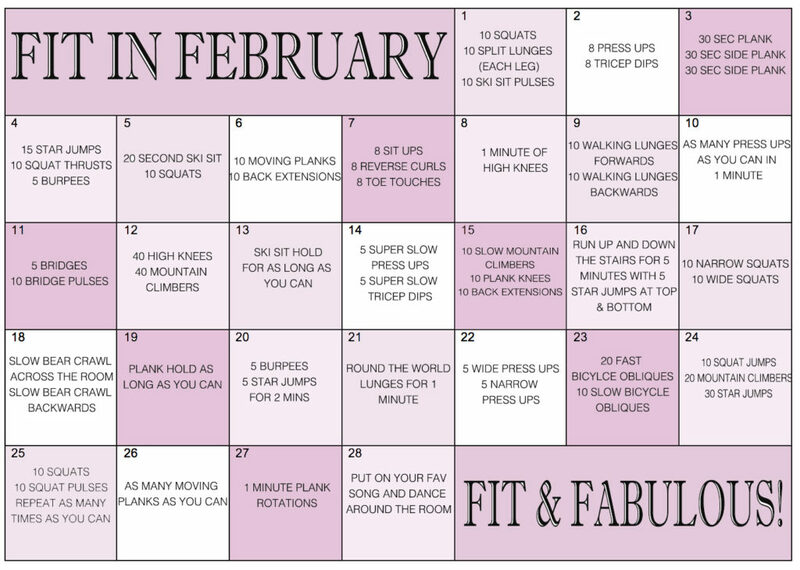 Let’s have a FABULOUS FEBRUARY!